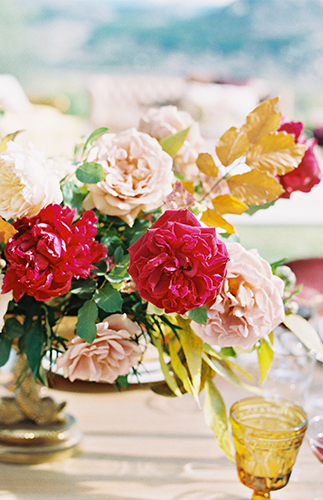 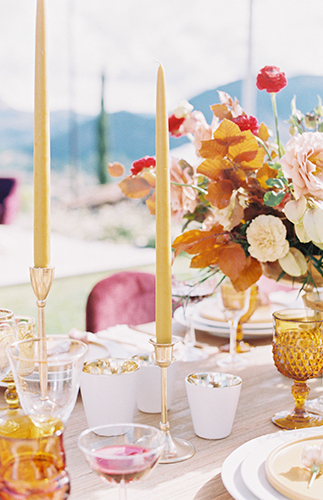 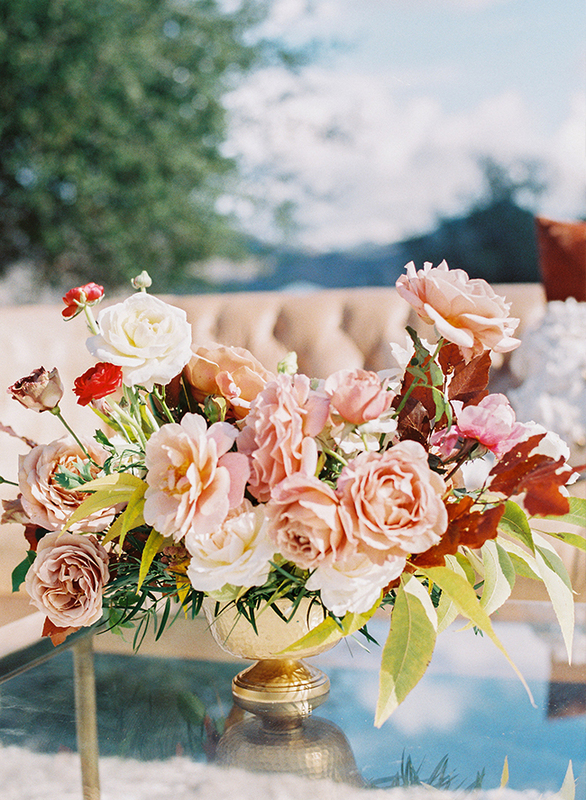 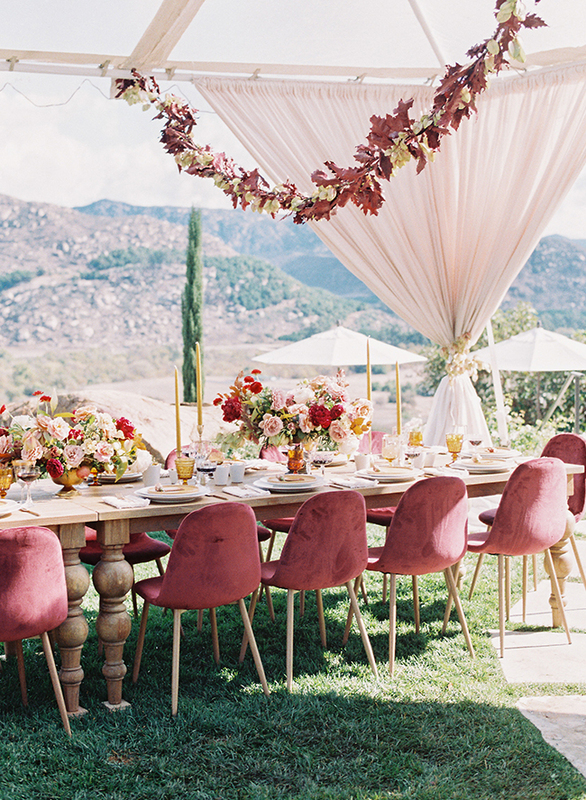 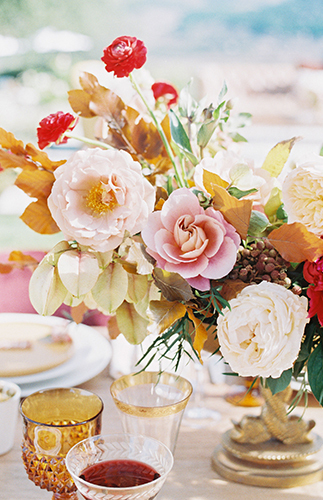 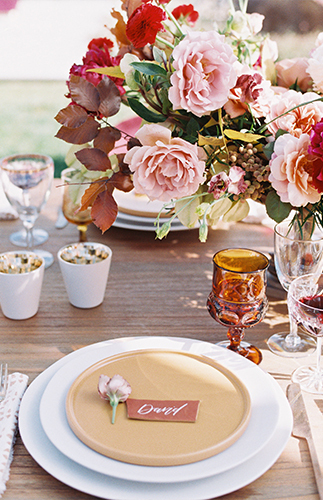 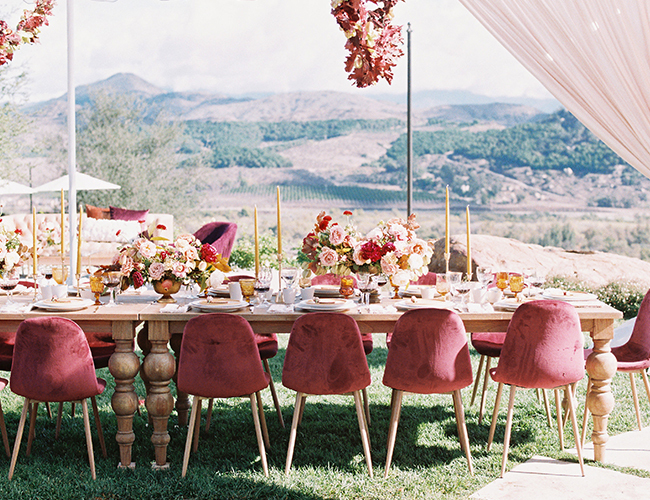 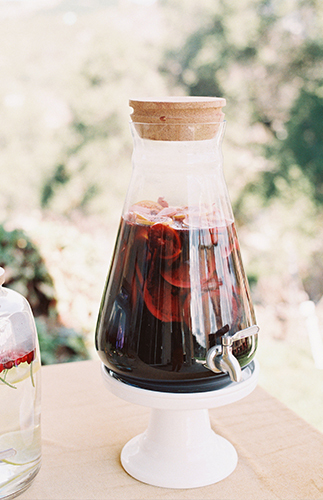 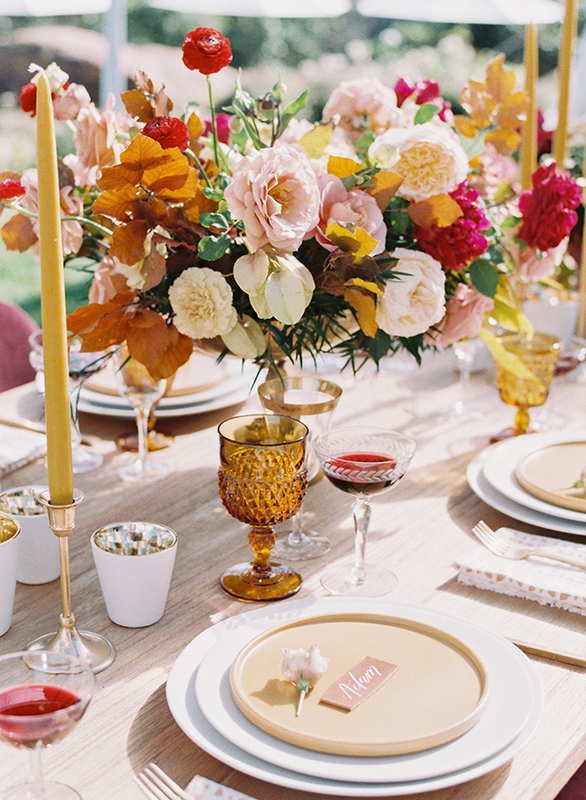 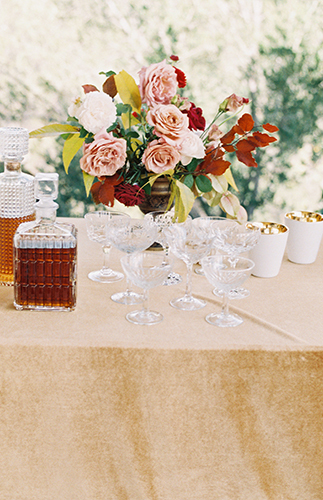 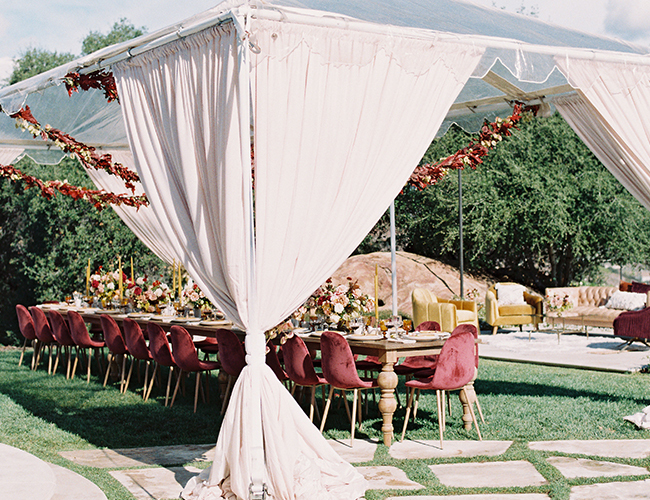 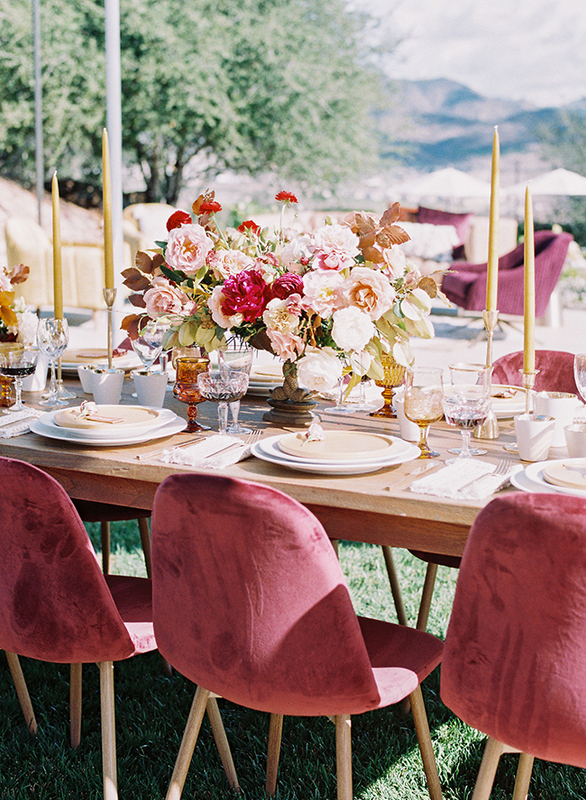 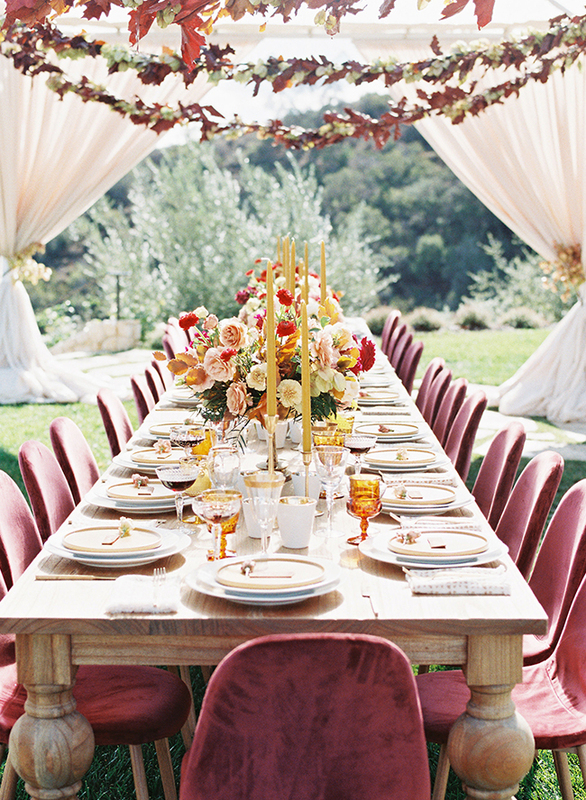 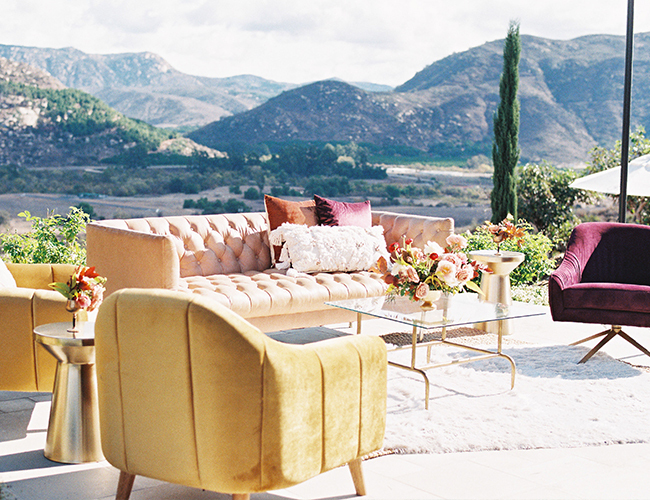 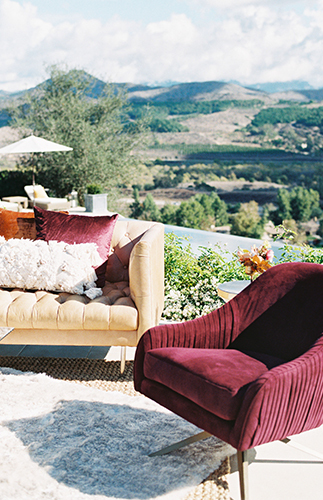 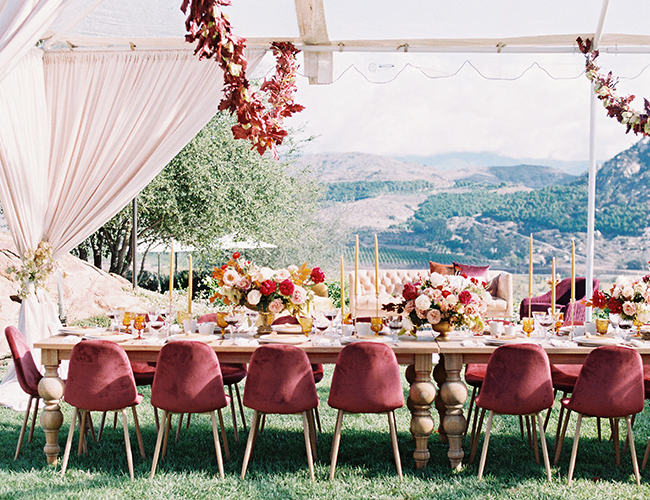 With touches of marigold, blush, and merlot, this Valentines Day party is nothing short of amazing. 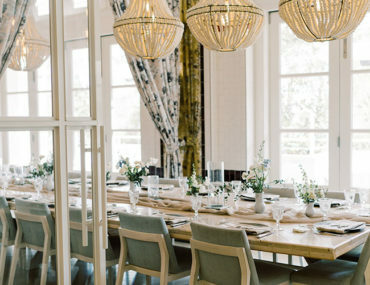 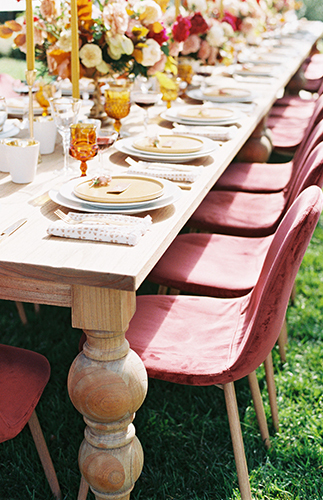 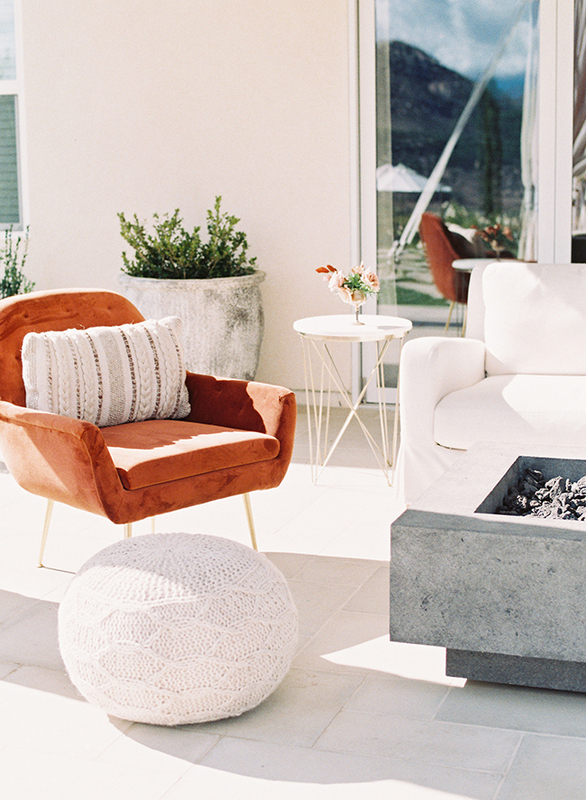 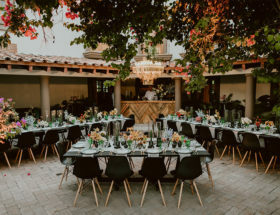 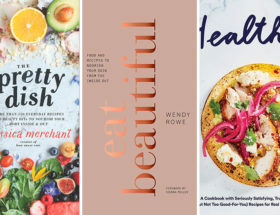 The luxe dinner party hosted in the backyard features stunning decor elements that will give you all the valentine dinner party ideas; whether you’re looking for the perfect Galentine’s celebration or want to invite your couple friends to join in on the fun! 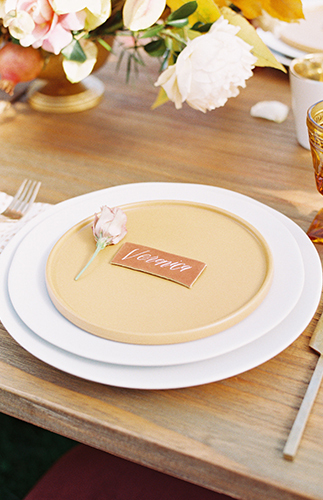 Why go out, when you can host all your friends at home for a decadent evening of dining? 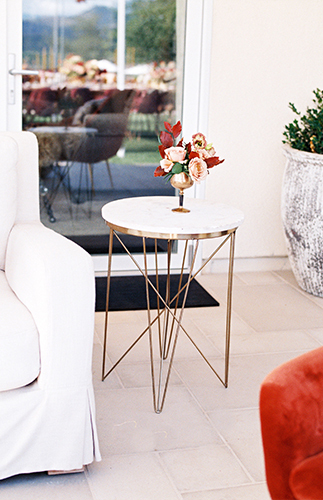 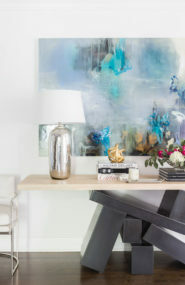 The host, Veronica Alvarez, shares, It doesn’t get much better than making memories with family and friends over good food and a beautifully set table. 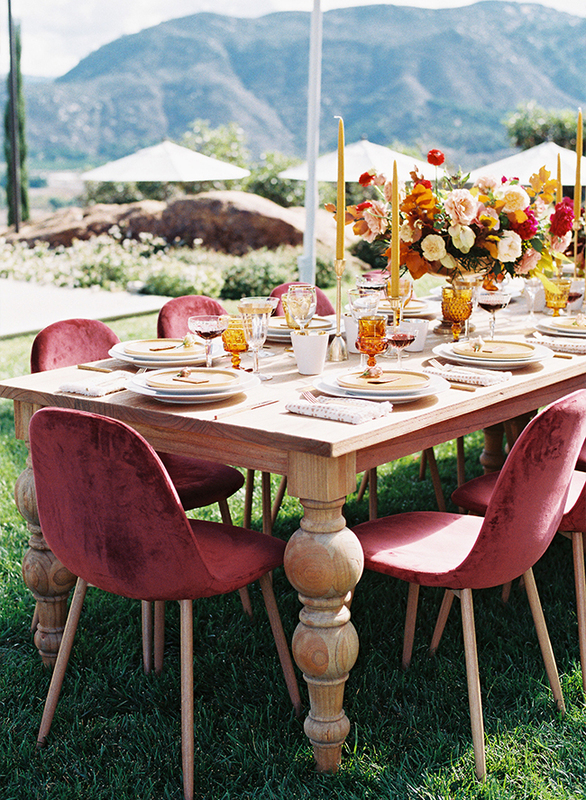 This year, I was really inspired by rich color tones, and the design took off while touring the Folklore warehouse and seeing their mod berry velvet dinning chairs. 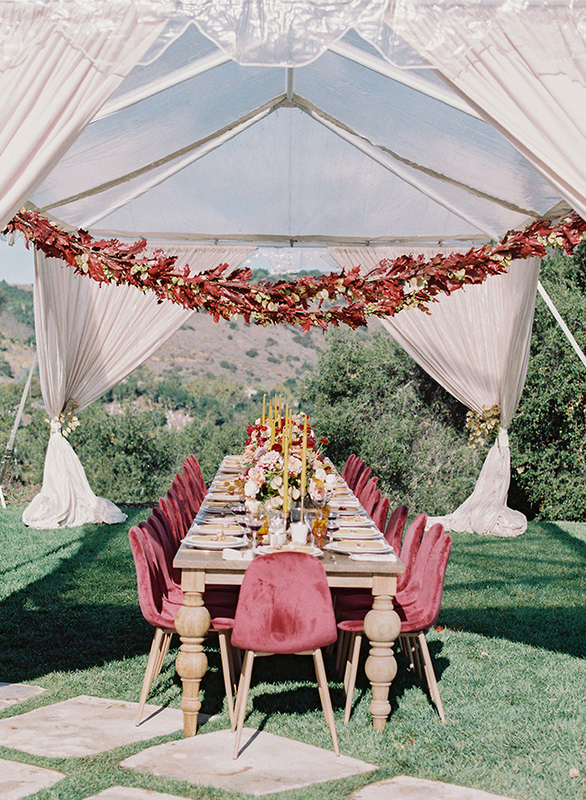 The theme quickly became Marigold and Merlot, and Nancy’s (owner of Oak and the Owl) beautiful flowers and garlands elegantly tied the décor together. 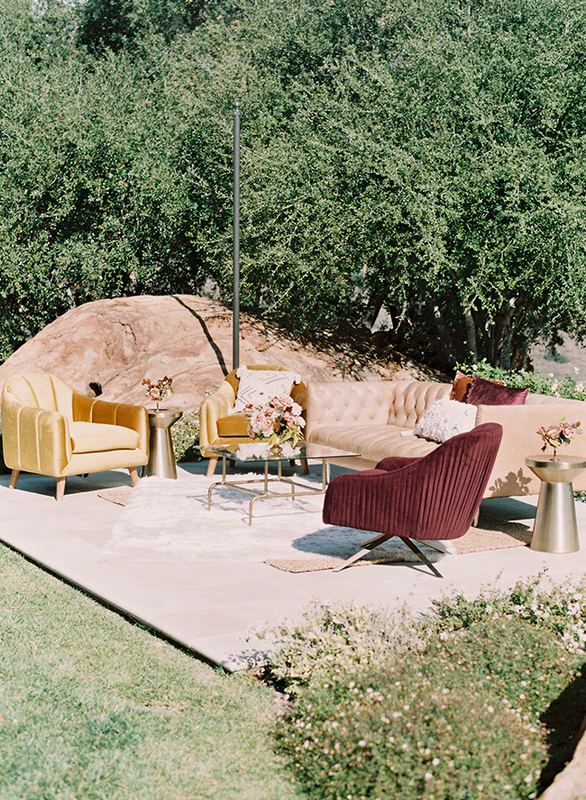 It was such a fun color palette to play with, and working with this talented group of vendors is what made it come to life. 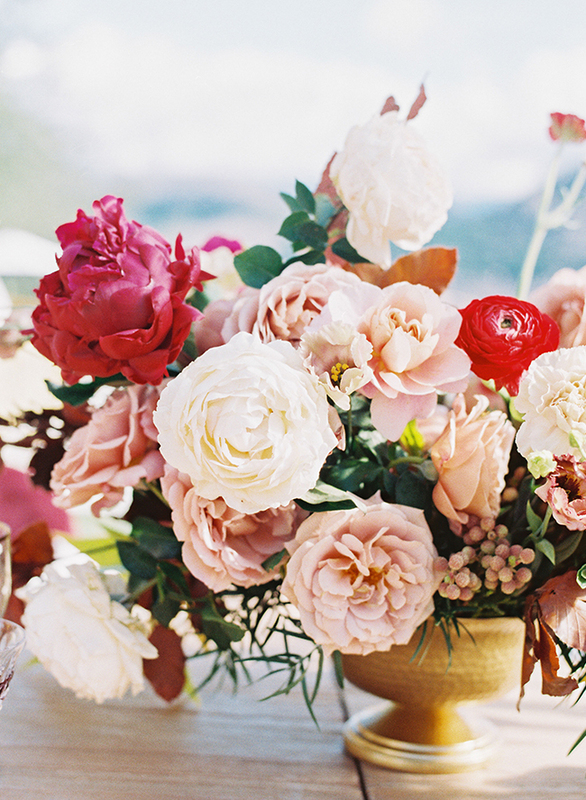 For more Valentines Day party ideas check out this cute kids’ Valentine’s Day party! 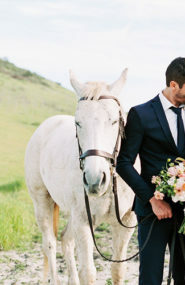 And if staying in with just your S.O. 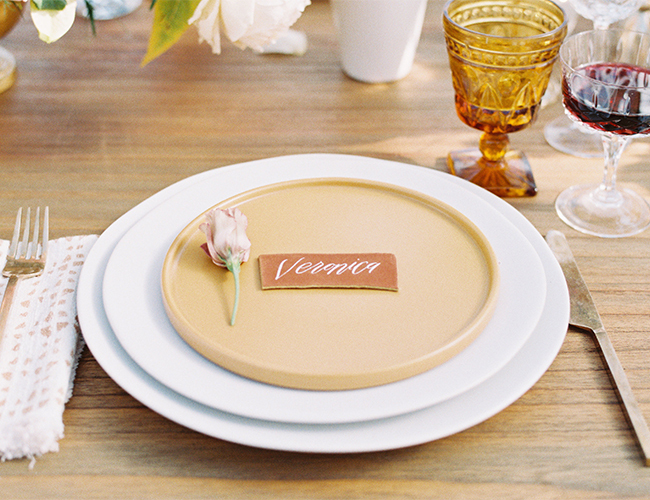 is more your speed, this is a super sweet way to celebrate!